No publicity, no media. We move in silently, do our job, and melt away into the background. If you have the stamina, the willpower and the guts, we'll welcome you with open arms and you one of us. And if you haven't, then it's been very nice knowing you. Eighteen years in the SAS saw Pete Winner, codenamed Soldier 'I', survive the savage battle of Mirbat, parachute into the icy depths of the South Atlantic at the height of the Falklands War, and storm the Iranian Embassy during the most famous hostage crisis in the modern world. For the first time Pete also details his close-protection work around the world, from the lawless streets of Moscow to escorting aid convoys into war-torn Bosnia. He also unveils the problems of Post-Traumatic Stress Disorder faced by many Special Forces veterans, and how he battled his own demons to continue his roller-coaster career. This is his story, written with a breathtaking take-no-prisoners attitude that brings each death-defying episode vividly to life. Michael Paul Kennedy is the original author of the memoir. 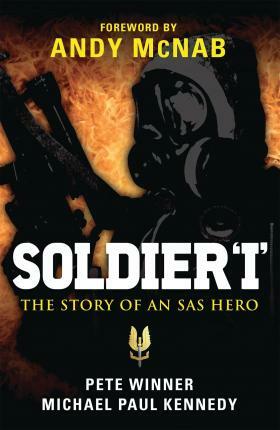 He acted as a ghost-writer, bringing the story of 'Soldier I' to life and at the same time preserving his anonymity. Staff Sergeant Pete Winner is Soldier 'I' himself. For the first time he is prepared to reveal his identity and tell the world of his experiences as one of the key members of the world's finest elite forces regiment.